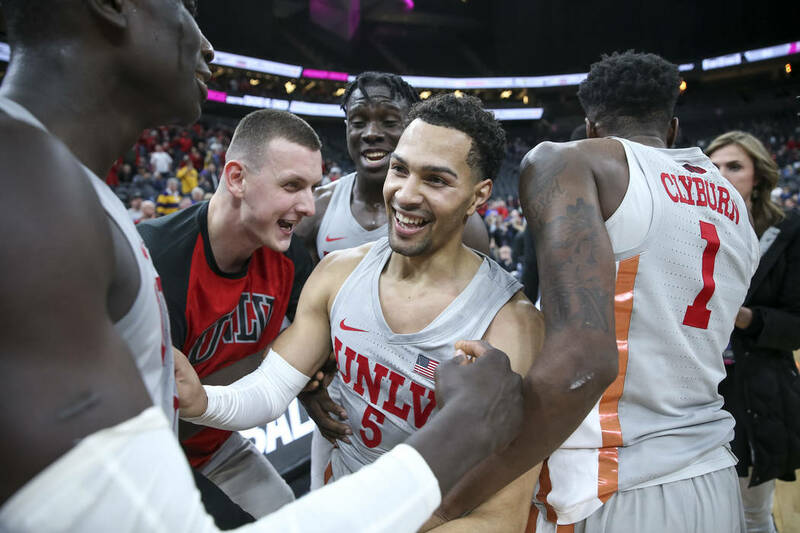 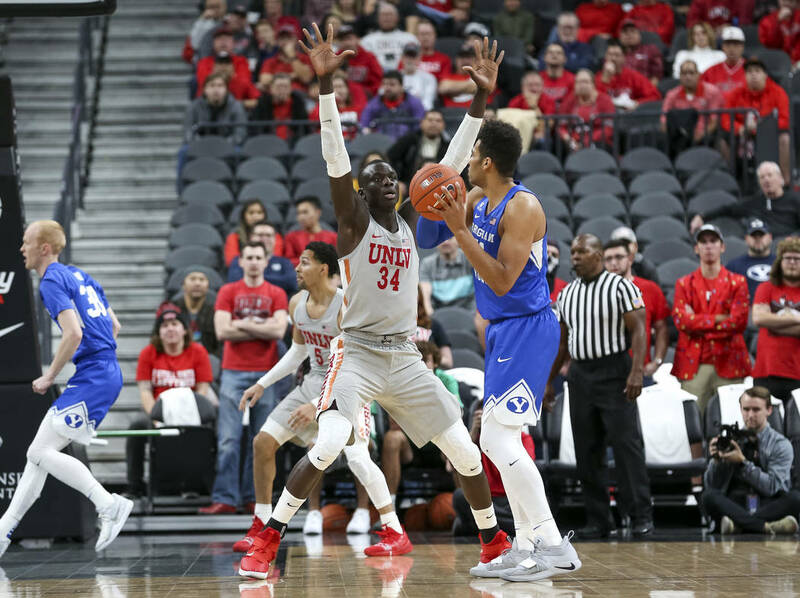 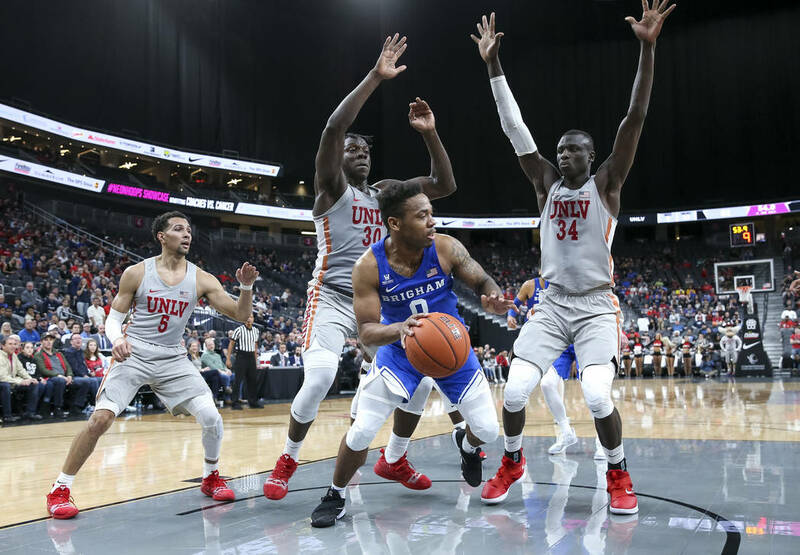 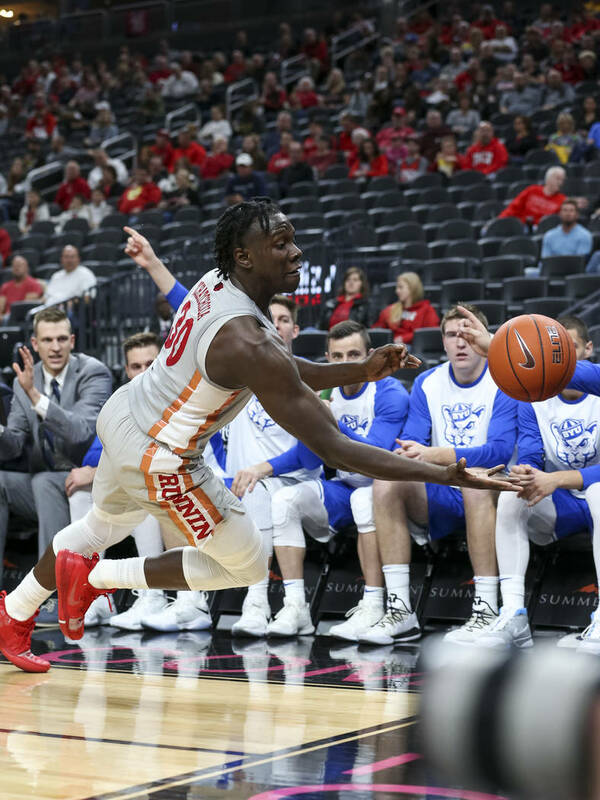 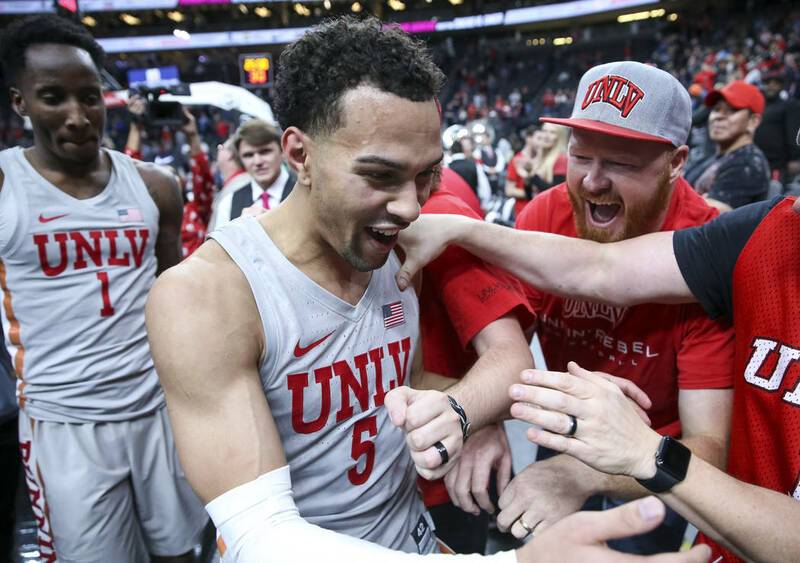 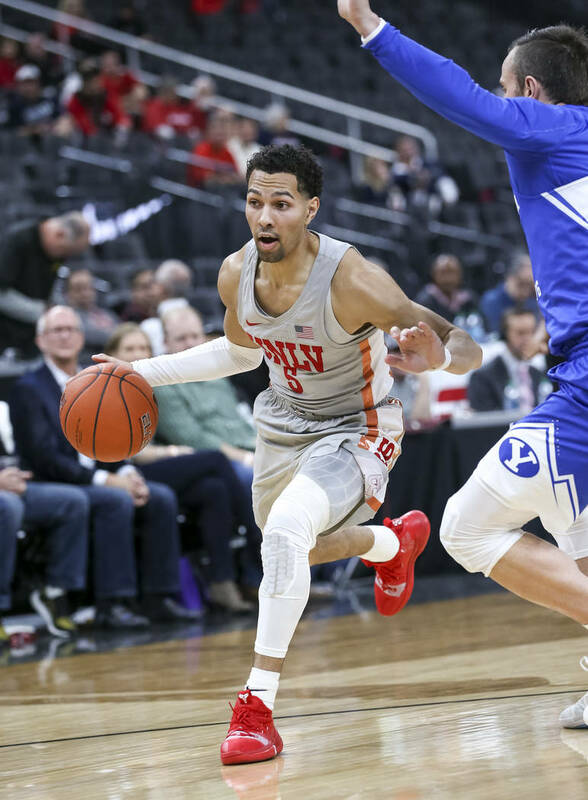 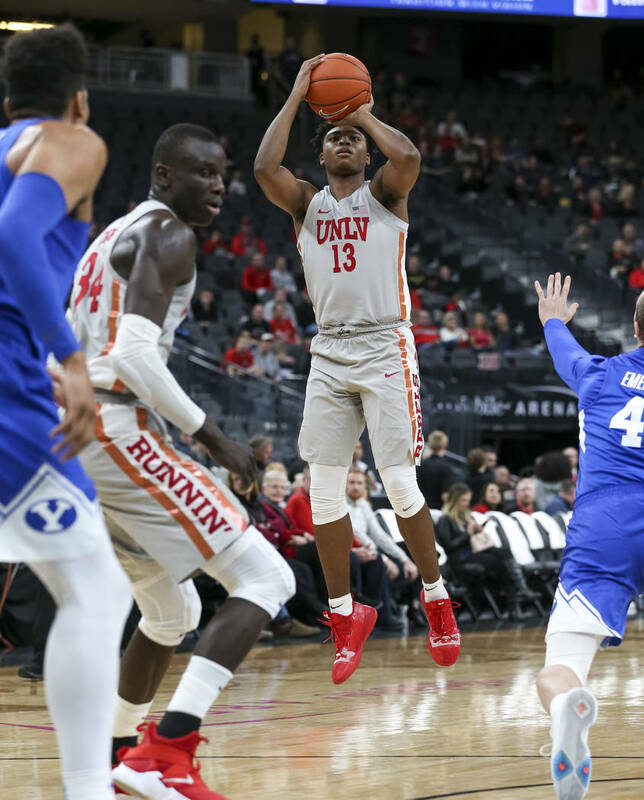 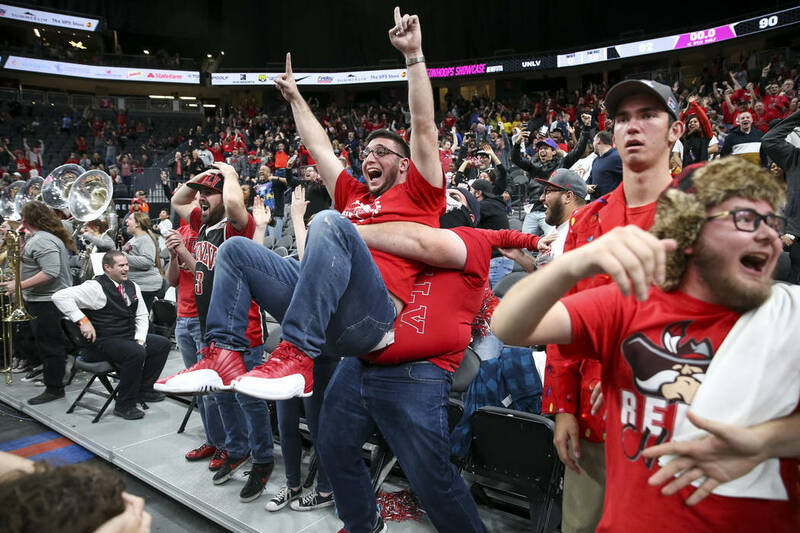 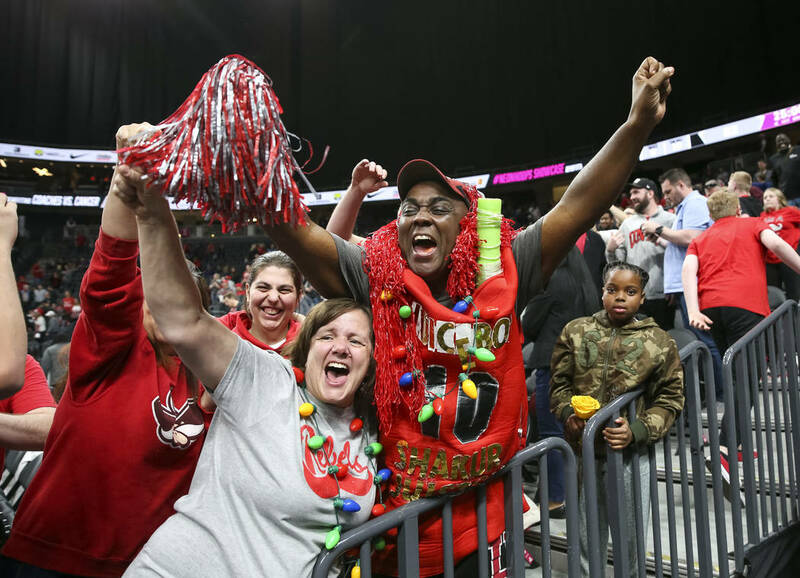 Senior guard Noah Robotham hit a fallaway 3-pointer at the buzzer in overtime Saturday to lift the Rebels over the Cougars 92-90 at T-Mobile Arena. 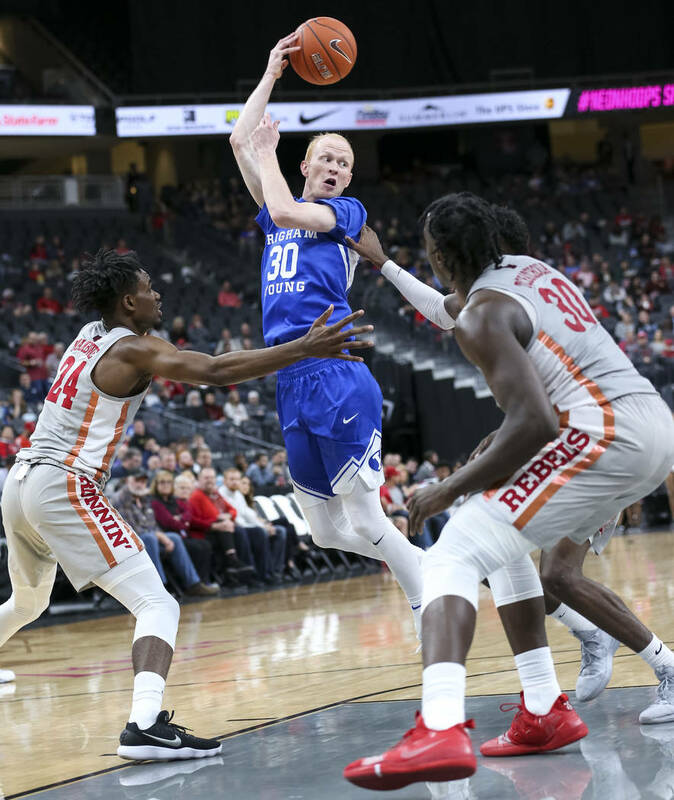 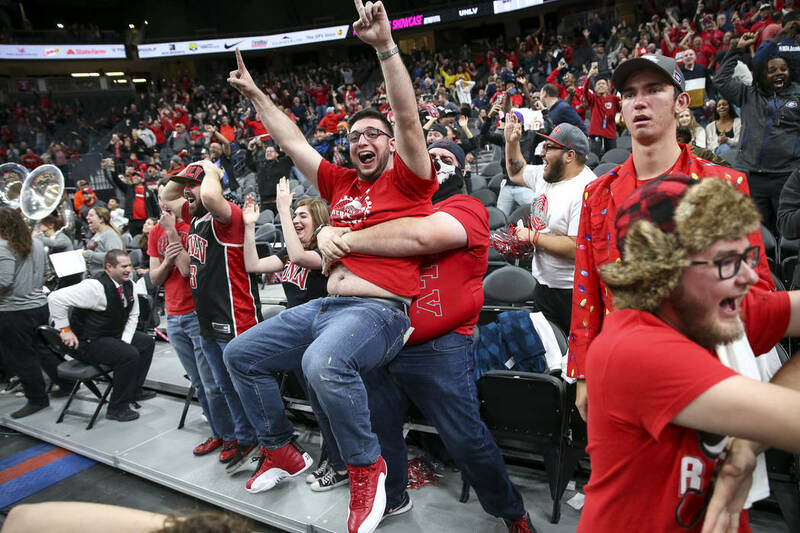 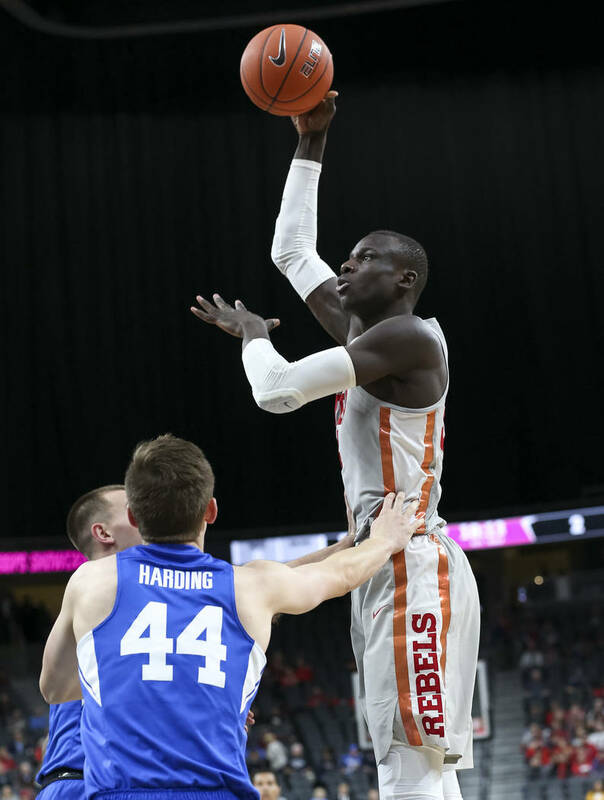 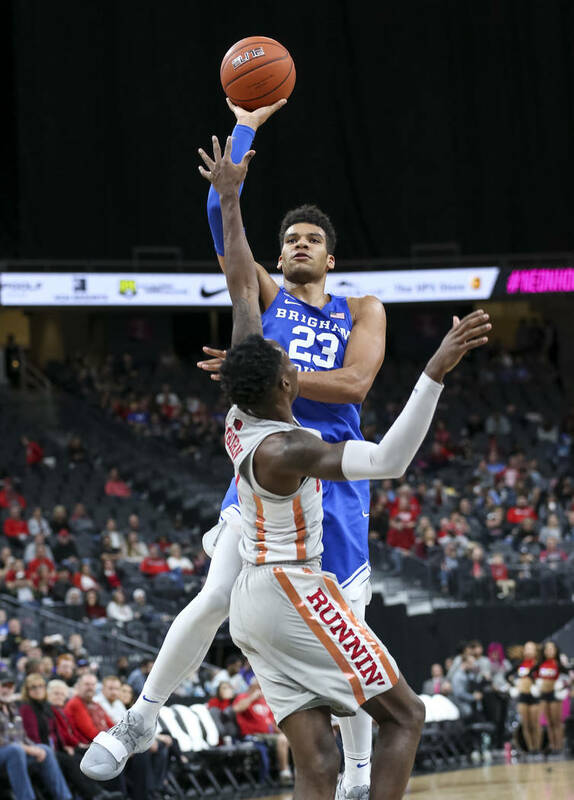 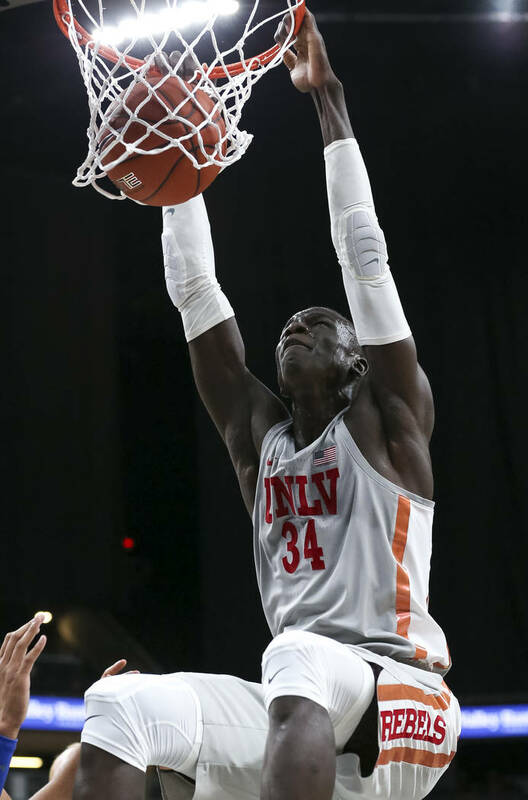 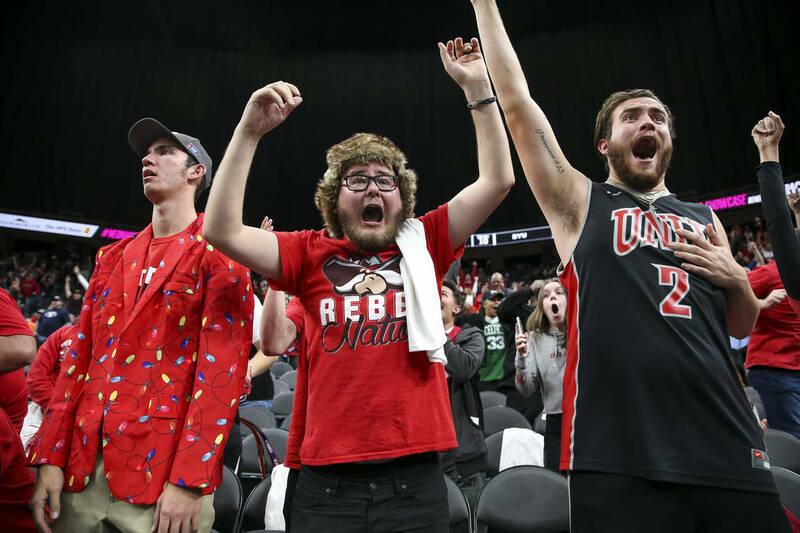 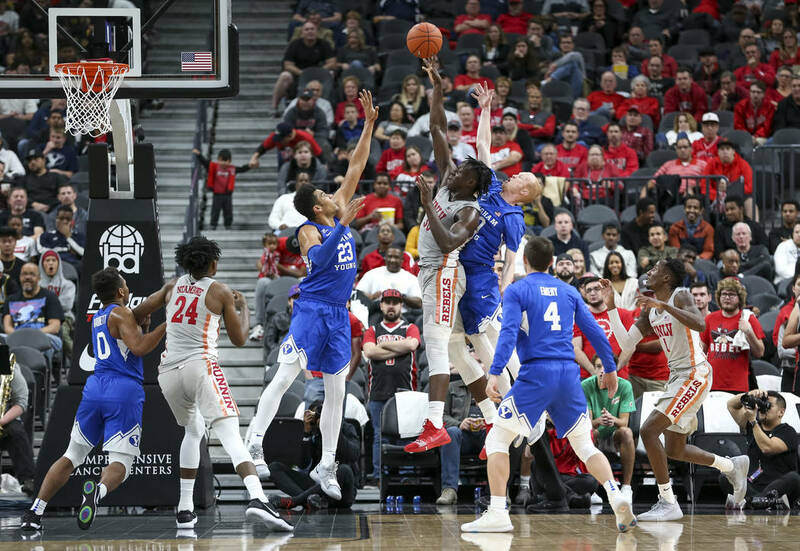 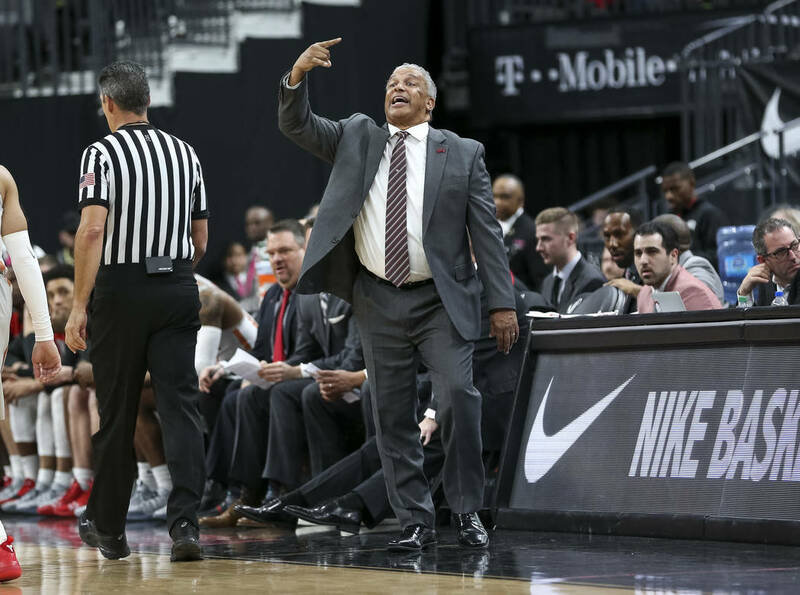 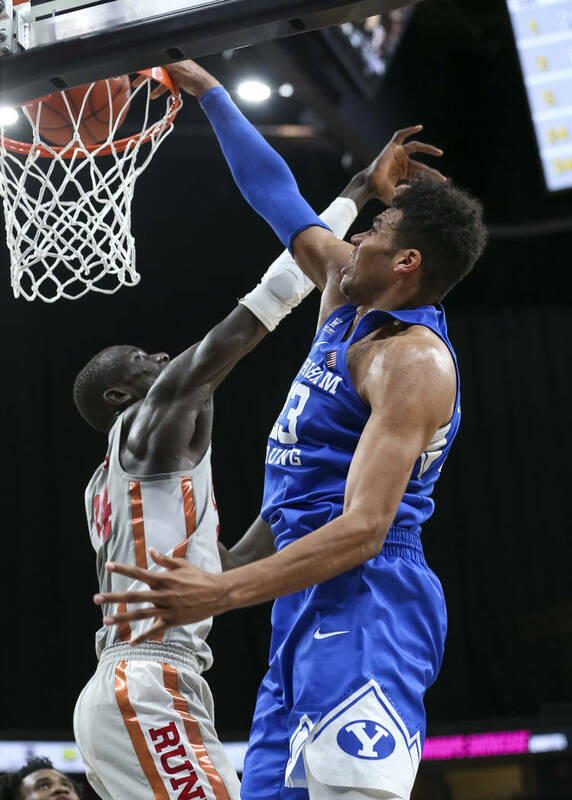 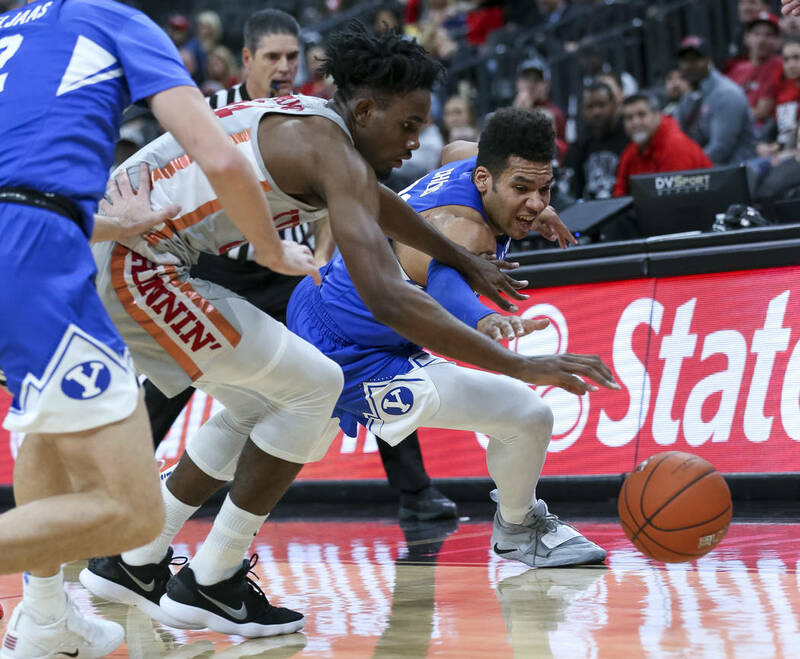 It might no longer be the rivalry it once was, but that doesn’t mean UNLV against Brigham Young lacks for excitement in basketball. 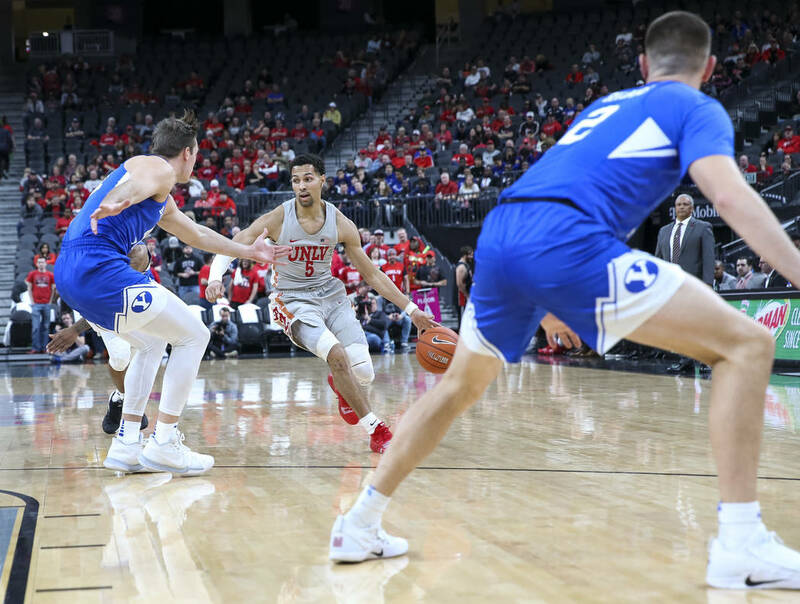 BYU had rallied from 17 points down in the second half to take the lead, only to have UNLV force overtime. 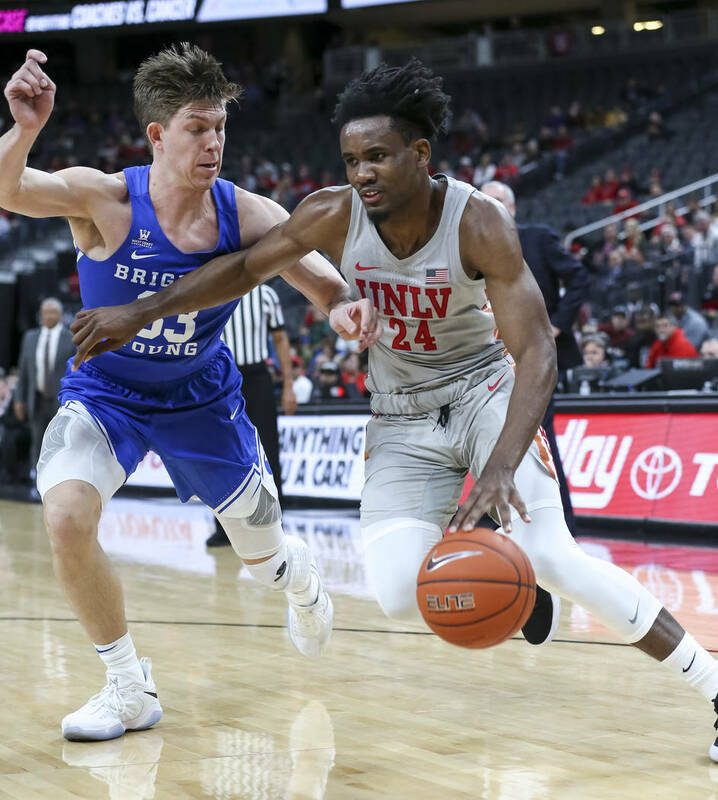 Kris Clyburn scored a career-high 21 for UNLV before fouling out. 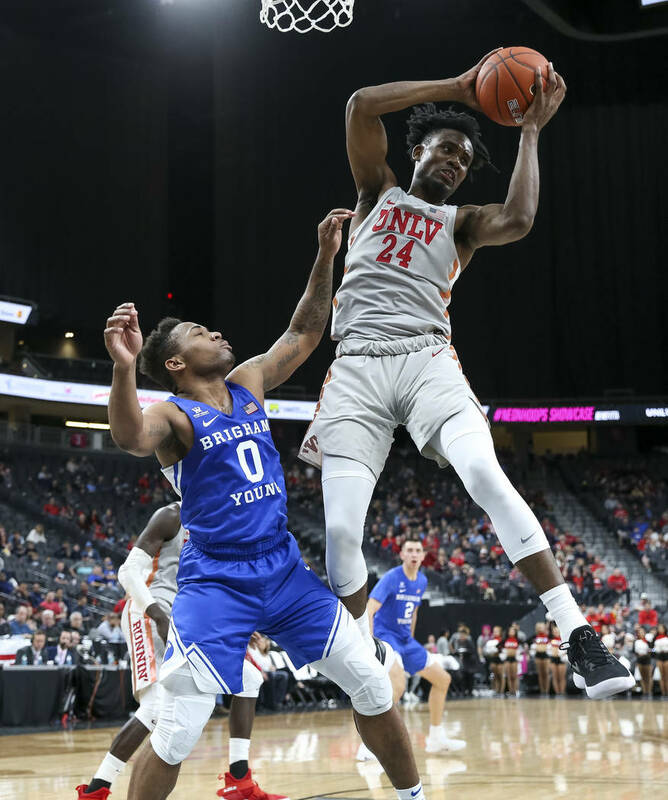 UNLV freshman forward Joel Ntambwe had his best game yet, finishing with a career-best 22 points and 11 rebounds. 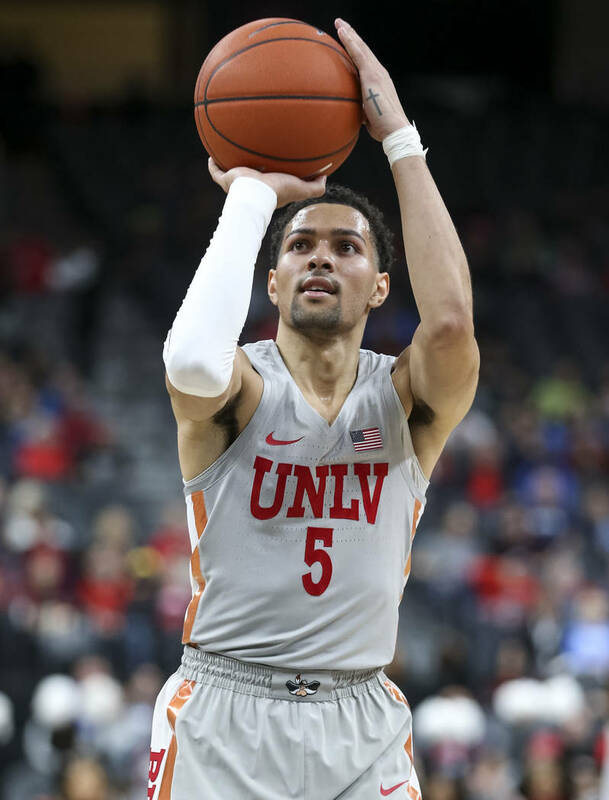 The Rebels played as fine a first half offensively as they have all season, building a 47-30 lead at intermission. 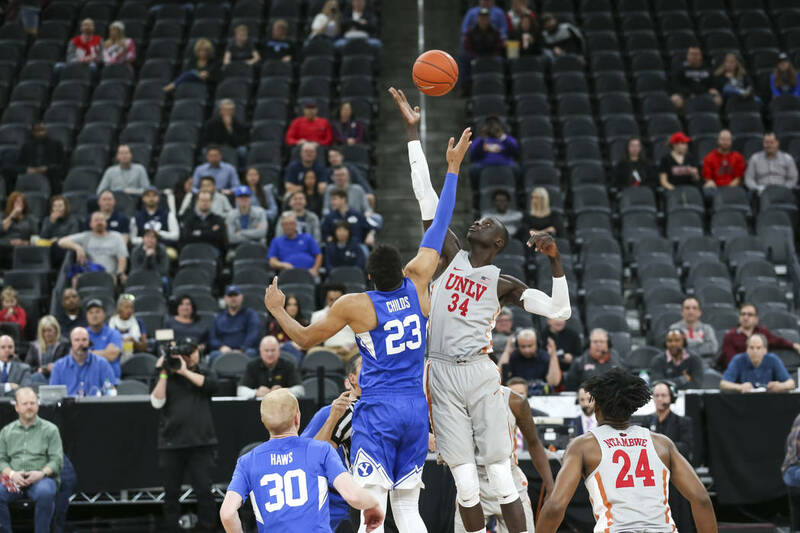 But the sloppy play that UNLV avoided those first 20 minutes, when the Rebels had only six turnovers, became apparent thereafter. 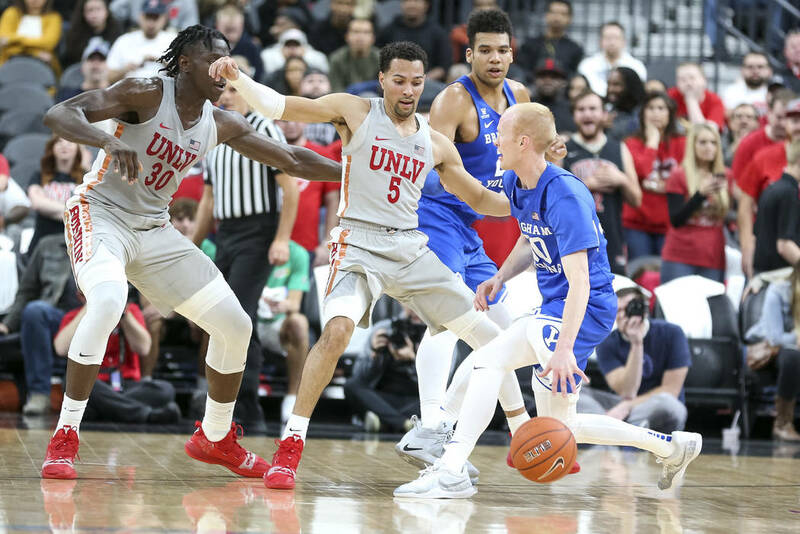 UNLV had 11 turnovers after halftime.